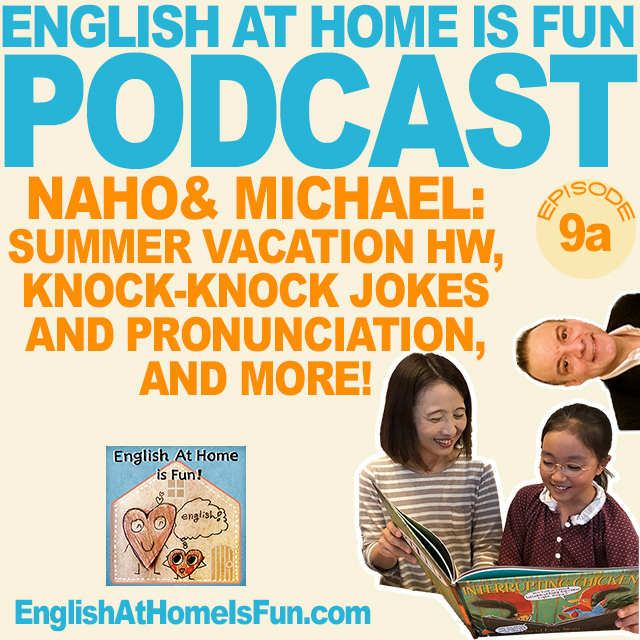 09a – Naho & Michael – Summer Homework, Knock-Knock Jokes, and a Tongue Twister! Welcome! 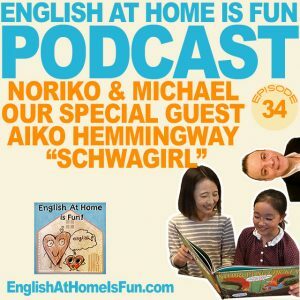 In this podcast, Naho and Michael chat about summer homework, knock-knock jokes and a tongue twister. Did you know that in the USA, most elementary school kids have over 8 weeks of summer vacation and…no homework to do. So they are really on vacation. Check out Naho’s reaction to that, plus learn the connection between knock-knock jokes and pronunciation. Plus…another fun tongue twister! We hope you like it! Here is today’s tongue twister: We read very weird stories very week.